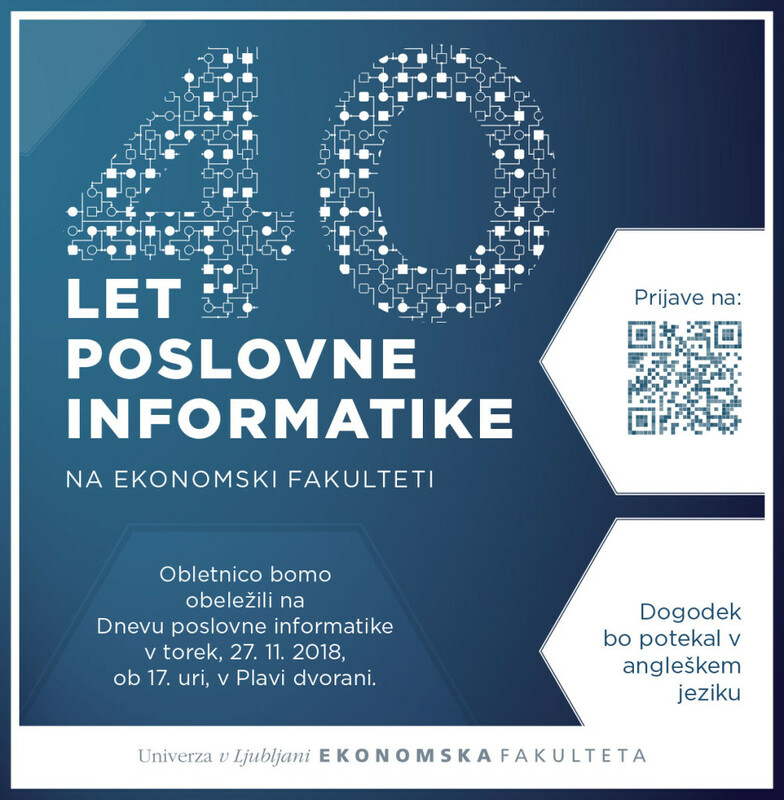 This year – the traditional Day of Business Informatics – will be a special one since we are celebrating 40 years of programme Business Informatics at the Faculty of Economics, University of Ljubljana. The main topic of the event will be the discussion on the key challenges and opportunities brought by IT. Our former students Tomaž Štolfa (co-founder of Layer), Tjaž Jelovčan (Microsoft), Ana Petrovska (Lek), Miha Valentinčič (Petrol), mag. Venčeslav Perko (ELES), mag. 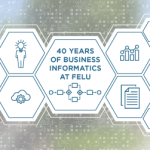 Teja Batagelj (Gen-I) and two former professors important for the establishment and development of the Business Informatics prof. dr. Andrej Kovačič and prof. dr. Janez Grad (FELU) will present their view on the IT related challenges. 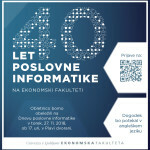 The event, which will be held in English, is intended for current and former students of business informatics and for all who are interested in IT related topics. After the event, you are kindly invited to celebrate with us in a relaxing environment, share your impressions and meet your colleagues. In order to facilitate the organization of the event, we ask you to register at http://raziskave.ef.uni-lj.si/dpi2018.